On behalf of the Board of Directors and the Search Committee of the American Nicaraguan School in Managua, Nicaragua, we are pleased to announce that Dr. Steve Mancuso has been appointed Director General beginning in August 2019. Dr. Mancuso is currently the Superintendent at Colegio Internacional Puerto La Cruz where he has served since 2014. He has also held leadership positions at the American Community School in Amman, Jordan and Dhahran Academy in Al-Khobar, Saudi Arabia. Dr. Mancuso earned a BA in Education at Queen’s University, an M. Ed. at the College of New Jersey and an Ed.D. in Educational Leadership from Lehigh University. The American Nicaraguan School Board of Directors, the ANS Search Committee and Search Associates would like to thank all candidates who expressed interest in the Director General position and to everyone who assisted and supported the search process. The American Nicaraguan School (ANS) is evolving as it continues to focus on annual continuous improvement. We are responding to shifts in educational standards and methodologies based on best practice to make sure we develop critical thinkers and ethical individuals capable of realizing their leadership potential. As we continue on this ambitious journey, we are recruiting a Director General (Head of School) who will lead and strengthen ANS to achieve long lasting change in children's lives. This is an exciting time for ANS as we embark on a new strategy for 2018-2023 that will guide us in our work to support the educational and developmental needs of all children attending our school. The American Nicaraguan School (ANS) is a private, non-profit, coeducational day school serving nearly 1,100 students from Pre-K through Grade 12. It was founded in 1944 and has students from 37 nationalities. Parents of students, who make up the governing body for the school, come from local and international businesses, as well as the diplomatic community. ANS is fully accredited by AdvancED, and completed its last on-site accreditation review in 2017. The educational program follows a U.S. standards-based model, and offers a strong Advanced Placement program at the High School level. Nearly 100% of its graduates attend four-year college and university programs and are accepted into excellent schools in the U.S., Canada, Europe, Asia and Latin America. ANS is an active member of the Association of American Schools of Central America (AASCA), which provides many opportunities for its students to participate in academic and athletic events with students from other international schools in Central America. ANS is also a member of the Tri-Association, which is an excellent resource for professional development opportunities for staff. "The mission of ANS is to provide its multicultural student community with a US-accredited college preparatory program, based on democratic and universal values, that develops critical thinkers and ethical individuals capable of realizing their leadership potential by making meaningful contributions to society." Approximately 55% of the students are Nicaraguan, 30% are from the U.S., 6% from Korea, and the remaining 9% represent students from 34 other countries in Latin America, Europe, and Asia. The School enjoys positive parent support and is considered by many people to be the premier K-12 educational institution in the country. 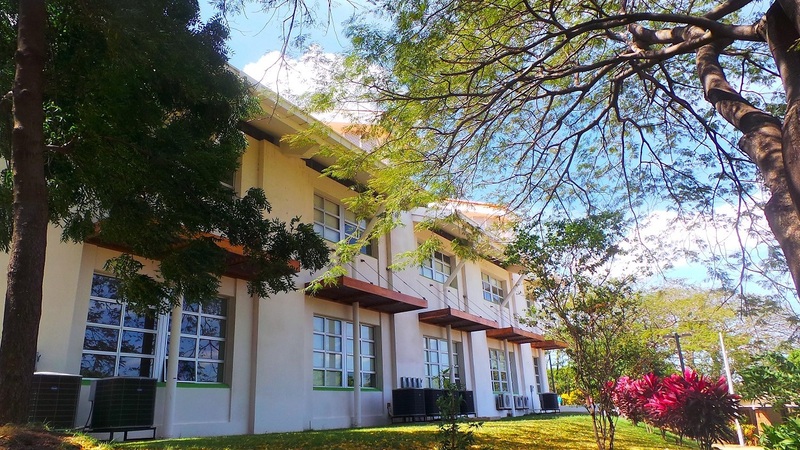 The School is located on a beautiful 26-acre open campus that takes advantage of the lush tropical climate of Managua. 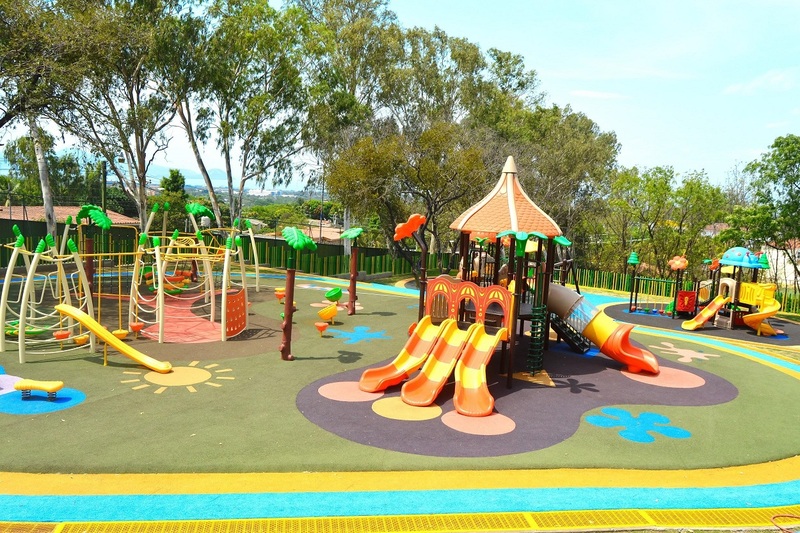 Over the past five school years, ANS has undertaken a major renovation project. The High School building was purpose built in 2010, and the Primary School classrooms have been remodeled. The Middle School facility will be the main focus of the 2018 Master Facility Plan, as well as an upgrade of sports and fine arts facilities and science laboratories. ANS has campus-wide wireless access, science and computer labs, a library, covered gymnasium, three soccer fields, a swimming pool, cafeteria for elementary students, and a food court for Middle School and High School students. The curriculum is college preparatory while providing students opportunities to excel in athletics and leadership activities. There is a very strong community service program that attracts the active participation of over 90% of its students. English is the language of instruction at all grade levels. High School students can partake in the Global Studies Program that provides students with a global perspective on humanities through courses in Human Geography, World Religions, and a third language, including Mandarin and/or French. These courses, in addition to the 16 Advanced Placement courses offered in the high school program, prepare ANS graduates for post secondary education in universities around the world. The professional staff consists of 126 members at ANS. About half are locally-hired teachers and the other half come from predominantly the U.S. and Canada. There is a strong administrative team in place including principals in the Primary School, Middle School and High School, as well as assistant principals, instructional coaches, curriculum support personnel, a school psychologist, counselors and learning support professionals.. The Board of Directors is composed of seven members, six of whom are elected to three-year terms by the parents with children in the School. The seventh member is appointed by the US Ambassador to Nicaragua. The Board meets on a monthly basis, and there are Standing Committees for Finance, Facilities, and Policy. The school year follows a typical US school calendar, with classes beginning mid-August and ending in early June. ANS observes major US and Nicaraguan holidays, with extended holidays during Christmas and Easter. There are approximately 180 instructional days plus some additional days for professional development for the administrative and instructional staff. The Director General is responsible for providing leadership to the American Nicaraguan School's work across Pre-K through Grade 12, ensuring the achievement of the ANS mission and implementation of a standards-based learning system. The Director General reports to the ANS Board of Directors and serves as the Chief Executive Office of the School. In this role, the Director General is responsible for the day-to-day operation of the School. Working with the administrative team, the Director General is responsible to develop effective policies, practices, programs, and activities that promote a learning environment that creates a safe and caring school climate that ensures cognitive, social-emotional, psychological, and physical growth and development of ANS students as well as providing opportunities for continued professional growth for teachers and administrators. Serve as the Chief Executive Officer of ANS and strengthen and develop a high performing Leadership Team at ANS, challenge assumptions, promote innovation in our educational and developmental processes and raise standards in all areas of ANS' operations from Pre-K through Grade 12. Make policies recommendations to the Board when needed and implement existing policies and regulations. Successfully recruit, retain and develop outstanding faculty and staff and allocate Human Resources to ensure the achievement of the ANS Mission. Ensure there is an evaluation process in place and is annually successfully implemented for professional staff members. Insure ANS compliance with all legal requirements of the Nicaraguan government. Maintain open, positive, and transparent communication with all school stakeholders and build and maintain the ANS brand. Foster positive working relationships with local educational authorities, with other local schools and universities, and with international educational organizations. Ensure implementation of Child Protection policies and provide safety and security oversight. Develop the annual operations and capital budgets with input from the Chief Financial Officer, Principals, and Faculty. Ensure that financial resources are acquired and managed effectively in promotion of the School's Mission and within the approved budget. Support additional fundraising strategies to obtain resources to finance the ANS strategy and fulfill the Master Plan for upgrading and renovating identified sectors for the school campus. Serve as the educational advisor to the Board of Directors in order for the Board to provide adequate financial resources to promote the Mission of the School. Provide support to Principals and other members of the professional staff to successfully implement all curricular and co-curricular programs. Ensure that ANS continues to meet and exceed educational requirements to maintain its US accreditation. A proven record of outstanding educational leadership in a senior level position. A graduate degree in Education. Proven ability to create a positive teaching-learning environment. Proven ability to work harmoniously with all stakeholders: Board of Directors, administrators, faculty and staff members, students, parents, and other community members. Proven ability to successfully recruit and retain outstanding faculty members. Consistently demonstrate honesty, integrity and compassion. Ability to make tough decisions. Openness to other points of view. Cultural openness, sensitivity, and understanding and enjoyment of other cultures. ANS has appointed Search Associates to facilitate the Head of School search with Dr. Brent Mutsch and Gunther Brandt serving as the primary consultants. The deadline for applications is May 10, 2018. However, candidates are encouraged to submit a letter of interest and the requested material as early as possible as the Board reserves the right to accelerate the selection process if the right candidate is identified in advance of the application deadline. Semi-finalist candidates will be selected by Search Associates and the applications and supporting materials will be forward to the ANS Search Committee on a rolling basis. Candidates who wish to apply should submit the information requested below in the form and manner requested. A letter of application, no longer than two pages, explaining your strengths as a candidate and why you are interested in the ANS Director General position. A one page list of at least four references with current phone numbers and email addresses. Final candidates (with spouses if applicable) will be invited to ANS in late May/early June and will have an opportunity to meet with the Board, Administration, faculty, students, parents, and support staff. The new Director General will be appointed shortly after the interviews have been completed.